I’ve never been shy about proclaiming my love for the SITS Girls! Seriously, they completely opened my eyes to the blogging world, helped me have a killer birthday week last year by being a featured blogger, and are hosting my first blog conference Bloggy Bootcamp in October! One of the best things that SITS ever did for my blog was to introduce me to Problogger! Last year I took a class with the SITS ladies called 31 Days to Build a Better Blog and it totally changed the way I blog! Not only did it change the way I blogged, I met so many incredible people in the process! 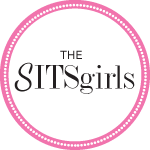 With the SITS Girls are at it again and this time we will be going through Problogger’s Guide to Your First Week of Blogging! Obviously I’ve been blogging for well over a week but that doesn’t mean that I don’t need to brush up on the fundamentals. I really need some help getting refocused and now seems like a great time to do it! While sign-ups to be placed in groups are closed, it doesn’t mean that you can’t still join in! You can find out all the details of this new class by clicking here! I’m so excited to get started! Seriously, if you are looking to start blogging or brush up on the fundamentals, this is the class for you! Now its time to get cracking of my first assignment! I still have close to 4 months to go before heading to Atlanta but preparations are being made! Currently Type A is going on (so close to home too!) so my twitter feed in filled with awesome 140 character bits of information about social media and blogging which is making me even more reading for October 22nd to roll around! My conference ticket was purchased a couple months ago and I reserved my hotel room this week! A kid-free weekend with 100 amazing ladies! Don’t get me wrong, I love my child more than anything, but I am really looking forward to a grown-up weekend! While I am extremely excited, I am all kinds of nervous already. I’m quite a bit shy but the cool thing about BBC (short for Bloggy Bootcamp) is that they assign seating for the morning session ensuring that you have the chance to meet new people! If it weren’t for that, I would be the dorky introvert in the corner by herself! Boy I loved me some overalls back in the day! But just as a defense, I wasn’t the only one in the group pictures sporting them! It does make me think of cutting my hair back off though. I really don’t need that temptation. Is anyone else in the planning stages of your first blog conference? If so, which one? If not, what is holding you back?